We are currently putting final touches on our 3Rs Educator Resource Guide for teachers and community members who want to educate on the values of “Reduce, Reuse, Recycle.” Keep your eyes out for our new resource! 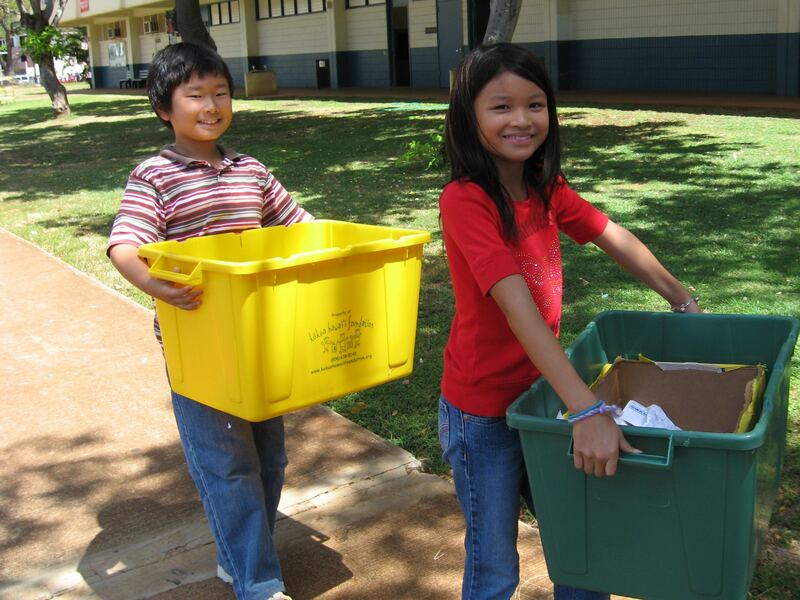 The Kōkua Hawaiʻi Foundation 3Rs School Recycling program offers classroom presentations to schools on Oʻahu. Presentations are typically 35-40 minutes long, and cover the meaning of 3Rs, examples of how to practice each, and an overview of how your school can create its own recycling program. For more information, or to book a presentation, email [email protected]!